Why is Rhyme Critical to Children’s Literacy? Can rhyme teach children the rhythm of speech? Have you ever wondered why we can remember nursery rhymes from our childhood? What is it about well-written verse that stays with us like a favourite song? Why do we love reading the same rhyming poems and stories we read as a child – to our children and grandchildren? To answer these questions, we need to get to the nuts and bolts of it all. 1. The sounds taste delicious on our tongues when we read rhyme out loud. 2. When a story is told in rhyme, the words seem to dance between the lines. 3. We learn to ‘picture-read’ as the story springs to life through sound bites. 4. The anticipation of rhythmic patterns adds excitement to the experience. 5. The beat stays with us and makes us want to read it over and over again. Instant recall: Whatever our reasons are for loving rhyme, research has shown that children form stronger affections toward characters when a story is told in verse. Rhyme has a way of wiring our brain receptors to the rhythm of speech, so we can remember the words well into our adult years. Now let me expand on some of the points I made above. Building blocks: Stories and poems told in verse are probably the most important part of a young child’s literacy development, during the critical window of phonological learning in the pre-school years. Rhyming skills are, in fact, one of the earliest milestones in a child’s path to becoming a good reader. Well-written verse teaches patterns and internal rhythms that help children connect the dots in the world around them. How cool is that? Making friends: Rhyme teaches children a love of language through the excitement and anticipation of sound. Each verse is picture-poetry, painting a vivid storyboard for the reader. When I visit schools for storytelling sessions, children often complete the last word of many rhyming sentences before I say them, after hearing the line just once. Sometimes, we have great fun ‘rapping’ the words to the rhyming story. Between the lines: Well-written rhyme seems to spring to life and dance in the empty spaces between the words. A child once told me that when she reads my picture book, The Whoosh of Gadoosh, she feels like she’s bouncing along in an inner tube. Now that’s a budding writer! Rhyme seems to wire the brain with an internal beat that lives on inside of us, sometimes for many years. I’m sure that’s why so many people can still remember favorite rhymes from early childhood. Powerful stuff: The use of rhyme in teaching children oral language skills can be fun and interactive for parent and child. It’s no wonder that children who can recite nursery rhymes from an early age usually become better readers than those who cannot. So it stands to reason that preschoolers who speak clearly are most often reading and producing rhymes. Great fun: I have always loved stories in rhyme. In addition to the traditional nursery rhymes and wonderfully wacky Dr. Seuss books, I enjoy the creative works of some great Canadian children’s authors like Sheree Fitch, Loris Lesynski and the late Phoebe Gilman, who have all written excellent rhyming storybooks that entertain both children and adults. And of course many of the books I’ve written for children are in rhyme. Hooked on rhyme: I believe strongly in the 3 R’s for teaching children language – Reading, Rhyming and Reciting. It’s important for kids to absorb the world through the ears and not always through the eyes. As children get hooked on listening to the patterns, the rhythms and the way words are put together in a good book – it’s easy to fall in love with the delicious sound of language. 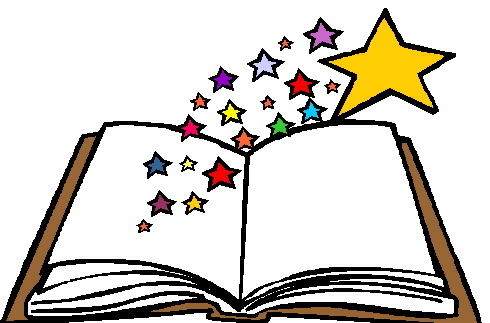 It’s all right there waiting to be discovered, inside the scrumptious words of a wonderful story. I can tap it in my head. I can touch it with my feet. I can taste it on my tongue. I can hear it in my sleep. I can feel it in my skin. Are Your Children Internet Safe? True!True! At my age the rhyming ones are the only ones I can remember. Thank you for explaining why. My pleasure Rumpel…with a name like yours, I would expect you to love children’s stories! I love all of your rhyming books! I also love the Dr. Seuss books with rhyme. Rhyme is a great way to introduce a very young child to books because it’s very repetitive and fun for them. Please keep writing in rhyme…….. Thanks Britt Girl…you’ve always been my biggest fan! Absolutely love your Three Rs!! I’ve witnessed so many children fall in love with reading through rhyme. It’s also the most fun way to enjoy stories and language together!! I’m so glad you liked it Jessica. In your position as principal of an elementary school, you’re surrounded by rhyming munchkins! You go girl! I love your “Roses are red…” creations. Always makes me laugh…and that’s a good thing. Laughing is my favourite sport.